Otter Creek Campground, night. 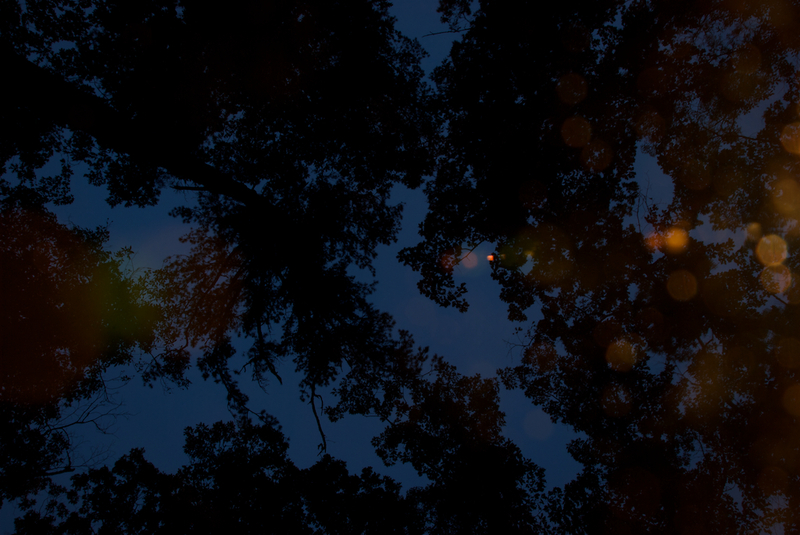 The orange spots are from the lantern off to the side of the camera. Click above to hear what Va sounds like out in the sticks at night. To complete the scene, figure there’s at least one of those insects that looks like a twig crawling on the picnic table and a daddy long-legs frying itself on the inside of your propane lantern (which is the white noise in the audio clip — sorry). And if you’re me, you can’t smell anything because you’re still a little congested.